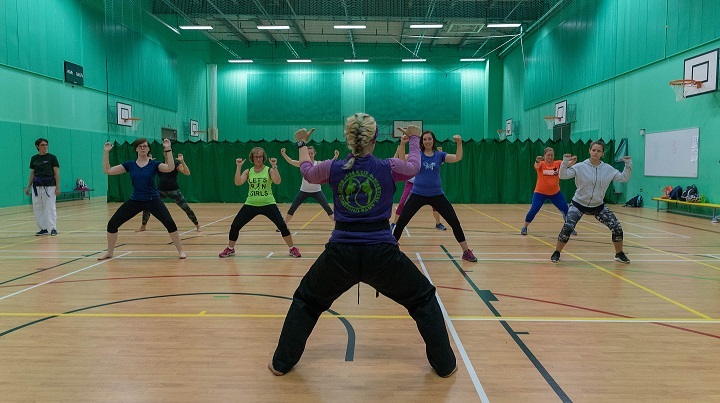 If you’d like to get more active and try a variety of exercise classes with like-minded women, sign up for our ‘return to fitness’ programme. We’ll be organising a number of 10-week programmes, involving one exercise session per week, at various locations in Cambridge. No previous fitness experience is required or expected. We’ll publish the start date and location of each series of sessions here when they are confirmed. You can also follow @getmovingcam on Facebook to see more of what we offer. Contact us if you want to express an interest in a future programme. The Let’s Go Girls Festivals are a great opportunity for women and girls age 16+ to try a wide variety of fitness and sporting activities in a fun, social and non-competitive environment. Our running page lists running activities, including women's only. Martial Arts Uniting Lives offers women traditional Tae Kwon-Do sessions. Try out some new moves or get back into the swing of things in a friendly and safe environment. The curtains will be closed and the doors covered for a bit of privacy. 'Netball Nights at Chesterton' are great for those who want to try netball for the first time, or who haven't played since school and want to get back into the sport. Come and join this fun, friendly group for some fitness, ball drills and match play. At these sessions, blinds to the pool windows are pulled down with no visibility to the pool from members of the public. Led by a qualified instructor.